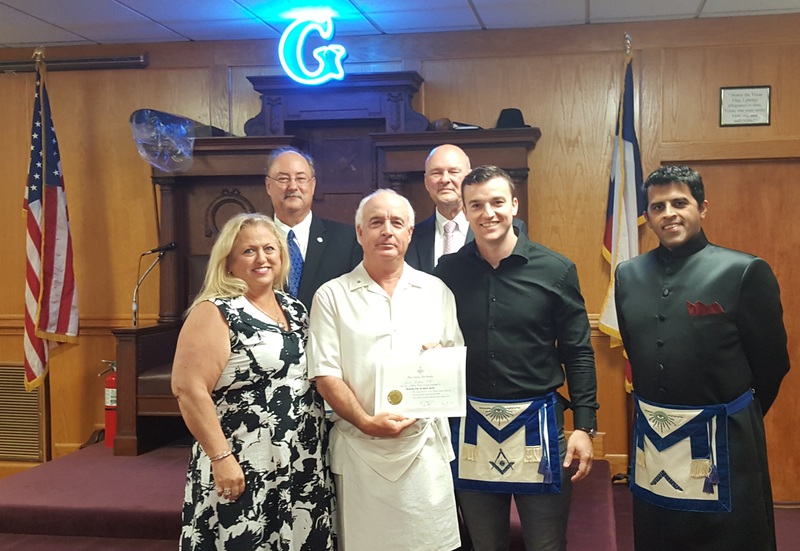 Bryan – In further fulfillment of its mission to serve the community, Brazos Union Masonic Lodge No. 129 presented two local students with scholarships to further their education beyond High School. 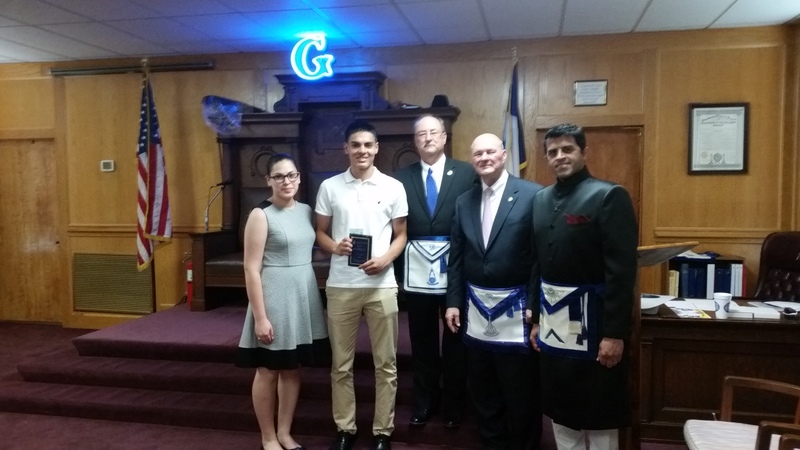 The 2016 Harvey P. Mitchell Masonic Scholarship Award was presented to Katherine Ann Solomon and the 2016 Mirabeau B. Lamar Masonic Scholarship Award was presented to Eric Carlos. 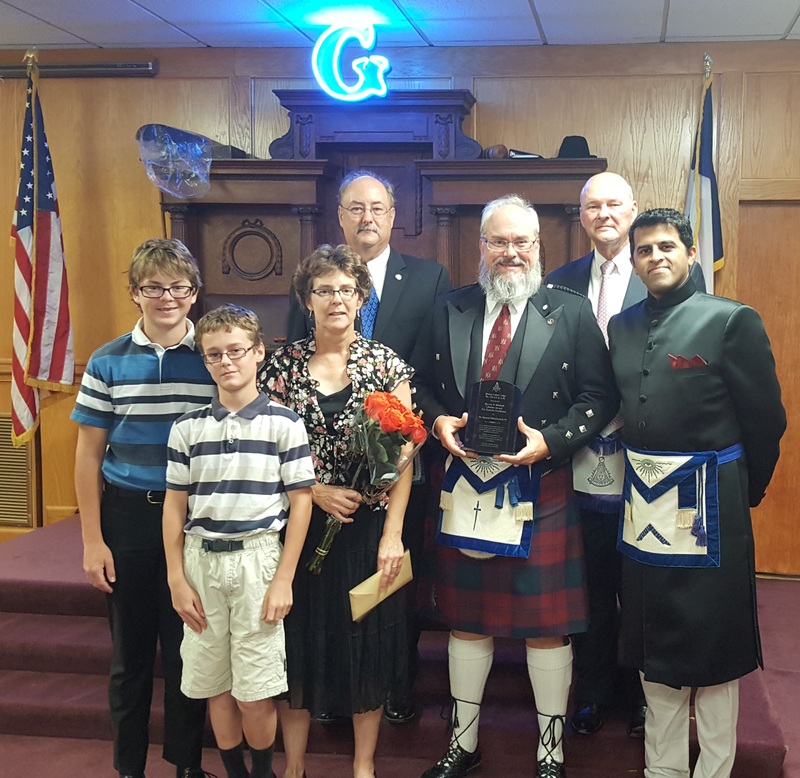 The Lodge also presented Brother Daniel Weis with a 25-Year Service Award for being a Master Mason for 25 years. Finally, the Lodge recognized Brother Raymond Kornhoff with the new Harvey Mitchell Award for Esoteric Excellence. After the awards presentation, Brother Michael Simpson, Worshipful Master, and the other elected and appointed officers of the Lodge were installed by Brother John Raney. Following the Installation, cake and refreshments were enjoyed. Background: Bryan’s home to gentlemen of character for over 160 years, Brazos Union Lodge No. 129, prides itself in the daily contribution to individual and community well-being. We believe that by sharing common values we can increase the opportunity of each individual in the community. The members are a diverse group of individuals with a wide range of skills and expertise whose goal is to make a difference in your life and those around you. Contact them at www.brazosunion.com today if you live in or near the Bryan/College Station, Texas area and wish to speak to one of their members. Posted in Uncategorized on July 20, 2016 by ethridgem. Posted in Uncategorized on August 22, 2015 by ethridgem.